Due diligence is an integral part of the buying process and is important that both sellers and buyers know what this process is for and what it entails. The main question the buyer wants answering is, ‘is this business worth what I am paying?’ Consequently, the financial position of the business will be thoroughly audited in order to verify the information you have provided is accurate and representative of the business’ performance. As part of this, the assets, liabilities, cash flow and general financial management of the business will be analysed amongst other financial aspects. However, it does stop there. Due diligence is a comprehensive process and also typically involves an examination of the legal structure of the business including its position regarding property, assets, staff and will flag up any potential litigation being brought against the company. Wider environmental, sector and competitor research will also be undertaken. As a seller, you may be frustrated if the process takes longer than you would like, or you feel worried or anxious about the whole process. Keep in mind that due diligence is a vital step in the buying and selling process, and take comfort in the fact that this kind of in-depth examination of your business shows the potential purchaser is serious about purchasing. It is in your interest to remain patient throughout and respond to any questions or requests in a timely and honest manner. Withholding information or being generally difficult may come across as though you have something to hide, which will not only prolong the due diligence process further, but may also harm your chances of completing the deal. It is highly unlikely you will find a buyer who does not want to conduct due diligence on your business, therefore, it is advisable that you prepare for this almost inevitable process. Completing your own due diligence prior to putting your business up for sale can pay dividends in the long-term. Putting yourself in the shoes of a potential buyer and undertaking your own due diligence on your business can help you to uncover any weaknesses in the business giving you the chance to improve on these before selling, thereby maximising the price you are able to command. The report produced as part of this process can act as a useful document for pitching to prospective buyers. 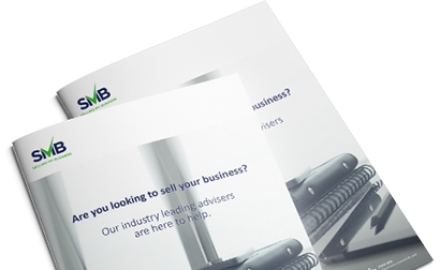 A professional sales adviser will be able to help you prepare your business for sale, including undertaking due diligence, and will be there to guide you through the entire process through to completion. Next Article: How much is my business worth?